It could hardly have been any closer. Coming into the final day of racing, the top two competitors in the Laser Standard Men Under-21 were separated by just three points. The day began with winds elevated a little bit above the previous day, at least enough to get started racing. Surprisingly, the fleets got away cleanly. In the Men’s gold fleet, Jonatan Vadnai (HUN) bested the leader Joel Rodriguez Perez (ESP) by three points, leading to a tie in the overall score. But neither had a particularly stellar race, finishing at 13 and 16 respectively – scores that were likely to be dropped should a second race be completed. The wind picked up a bit, into the teens, for the second race of the day, and Jonatan Vadnai picked up his fourth win of the regatta. However, he was only able to get two competitors between himself and Joel Rodriguez Perez, who finished fourth. And so they two were tied in points at 14. 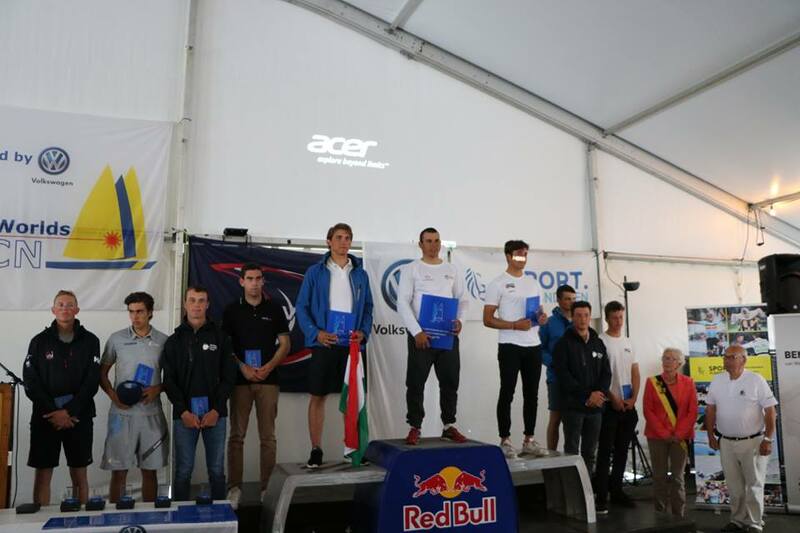 And the Spaniard had five wins to the Hungarian’s four, giving him the title Laser Standard Men Under-21 World Champion. Several British sailors – Daniel Whitely, Jack Cookson and Sam Whaley – put in solid performance in claiming 3rd, 4th and 5th place in the overall standings. 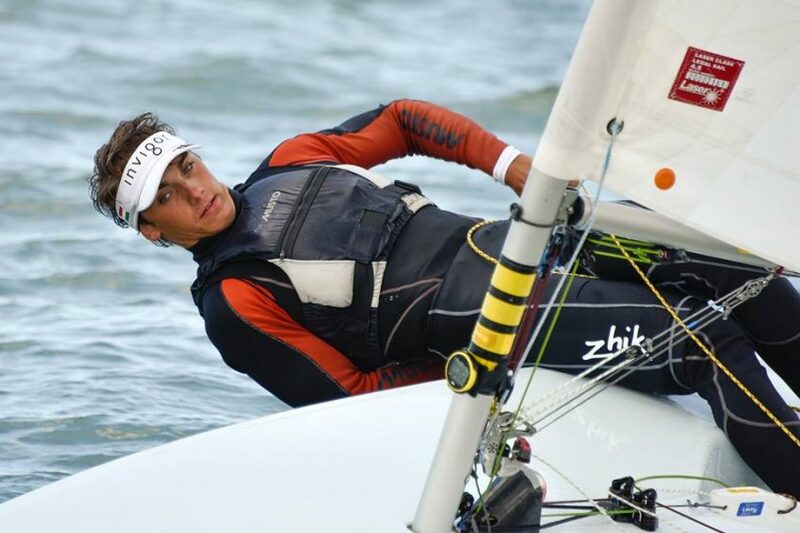 And Henry Marshall, winner of the 2016 Laser Radial Youth World Championships, finished 10th. In the Radial Fleet, Mária Érdi won her 6th race of the regatta, and easily claimed the World Championship in the Laser Radial Women Under-21. 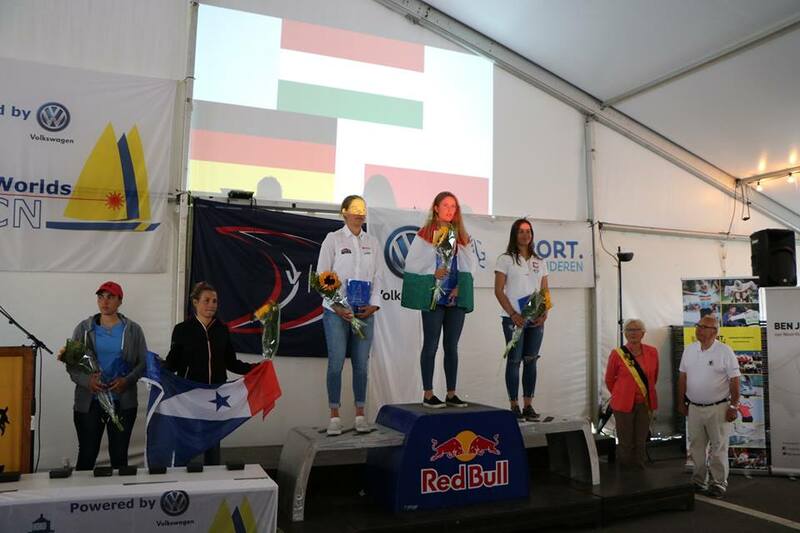 Hannah Anderssohn (GER) held on to second place, while Magdalena Kwasna (POL) and Louise Cervera (FRA) both sailed well enough to each move up a place. Another interesting battle in the Laser Radial fleet was between fellow Irish sailors Aoife Hopkins (IRL) and Aisling Keller (IRL). The two finished 1st and 2nd respectively in the 2017 Radial Under-21 European Championships and spent most of the World Championships sailing near each other on the course and in the standings. But this time it was Aisling Keller who go the better of it on the final day with two fifths to finish seventh overall. Friends? Rivals? One of the two smilingly suggested “Frenemies” as an apt descriptor of the relationship. if we raced another six days, it didn’t look like anyone would be able to unseat Mária Érdi in the Radial feel, and there is a good bet that Jonatan Vadnai and Joel Rodriguez Perez would continue to trade places at the top of the Standard Fleet. But the 2017 Laser Under-21 World Championships came to a close.